The Tasks module of SugarCRM CE will provide you with the option to fully manage a tasks system for you and for your employees. In the next few lines of this tutorial we will provide you with detailed information on how to fully manage the Tasks of the Activities module. In order to access the Tasks module you will need to first and foremost login with the admin or any user having access to that module. Once logged in please navigate to Activities > Tasks. This link will redirect you to a dedicated page for your Tasks and in the next steps of this tutorial we will show you how to fully manage these. In order to create a new task you will need to simply click on the Create Task button which you will be able to find in the top horizontal Actions bar. The second section of that interface can be user to specify the concrete user this task will be Assigned to. The next management activity we will review is editing an existing task and we would like to assure you that it is even easier that creating a task. First and foremost you will need to understand that not every task can be edited. The tasks you can edit are marked with a small pencil-like icon which you will need ot click on when you find the task you would like to edit. 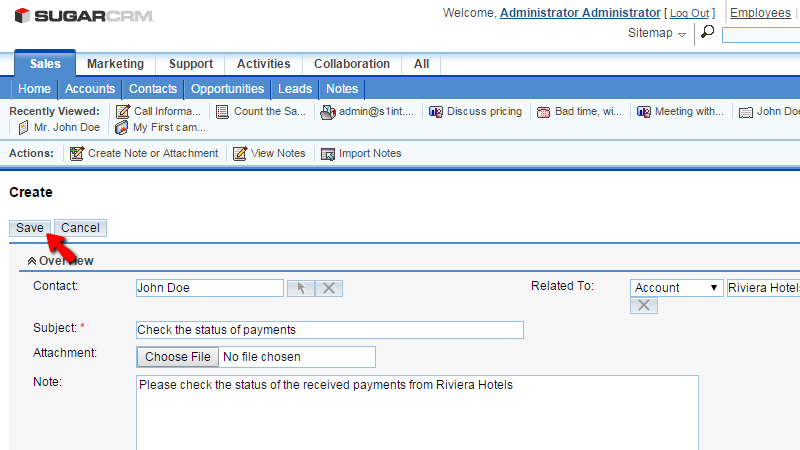 Once you click on that icon you will be provided with the same page you have used to add a Task, however with all of the fields filled out with already inserted information. Please edit these in a way you would like to and click on the Save button so you can save the edits. Deleting Tasks is also piece of a cake. 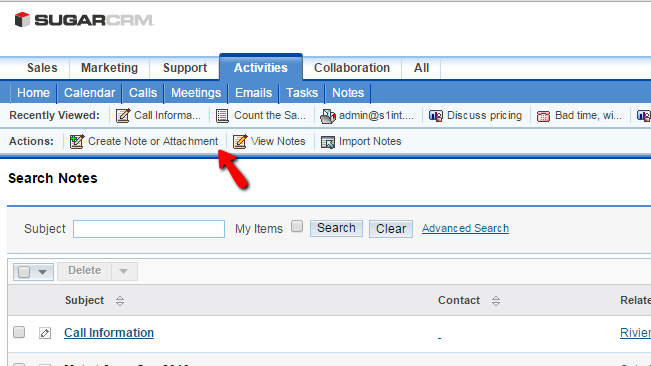 In order to delete a task you will need to list all the tasks or find the one you would like to, using the Search module on the main tasks page which we have described how to access in Step 1 of this tutorial. Once you find the Task you would like to delete you will need to mark the task by using the checkbox provided on each line of Tasks. Then you will need to click on the Delete button at the top of the section and then you will need to confirm the deletion before the task get deleted. Congratulations! That is basically all you will need in order to manage fully the tasks of your SuiteCRM CE installation!